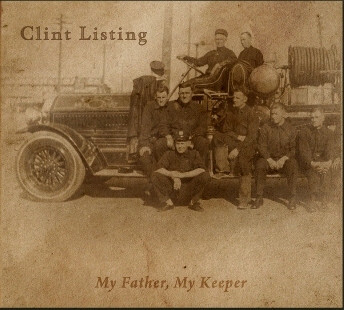 Clint Listing is an Arizona-based musician, working on many projects (solo as As All Die and in several drone, dark ambient, and metal bands, including Long Winters’ Stare) and overseeing Absolute Zero Media. This 2008 album, released by Autumn Wind, has the familiar dark ambient sounds – cold synths, foggy echoes, metallic drones – but Listing brings strange and unexpected elements into the mix. Saxophone sounds drift through T1, T2, and T3 like memories of old jazz tunes. Sirens wail in the distance of T1, vocals fade in on T4 and T5, and a white noise blizzard descends in T6. The album ends with “The Snow Ghost” bonus EP (T8-T10), three tracks that sound like the stillness of winter.